I have been so busy with end of school chaos that I haven’t blogged in ages. Therefore, to commemorate the end of my first year, I’ll be writing about some highlights throughout the year. My kiddos - gonna miss this crazy bunch over the summer! Success! a.k.a. 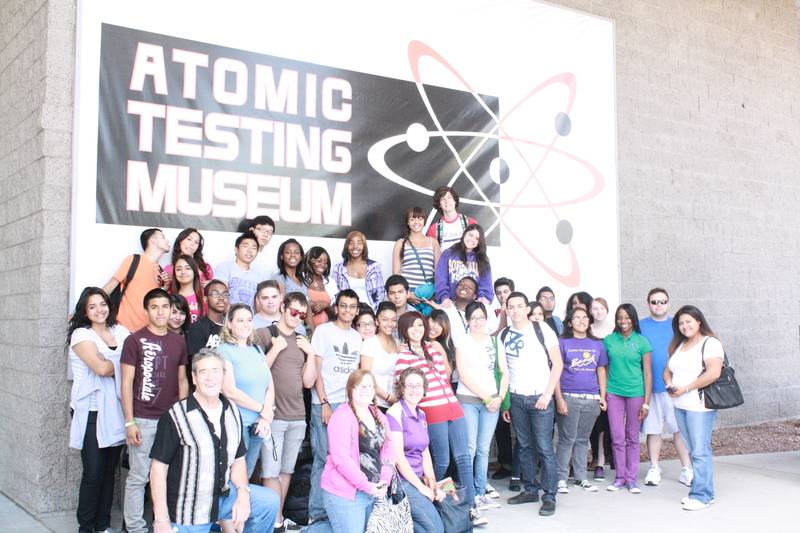 the day my 9th graders behaved more like high schoolers than middle schoolers! Wow. I can’t even believe what happened on Friday. After the catastrophe that started the week, I thought Wednesday through Friday would be even worse. The week actually got better after Tuesday and ended up finishing with one of the best moments I have had with my 9th graders since the beginning of the year. In both sections of my 9th grade general science class, we finished up a Discovery Channel show about a massive trebuchet, redistributed graded work, and continued reading The Last Book In The Universe. That’s pretty average for a Friday and the kids are always bouncing off the walls for the weekend! This Friday they sat quietly through the entire movie. This Friday they quickly got their work taped into their notebooks. This Friday one student volunteered to read out loud. This Friday they all sat and listened quietly. This Friday almost all students followed along in their books. It doesn’t sound for much, but for a group of about 55 9th graders who still aren’t sure why it’s even important to pass their classes, it was nothing short of a miracle! I know that as we get nearer to the end of the school year, behavior issues will get worse, so I hope this moment will be burned into my memory forever.